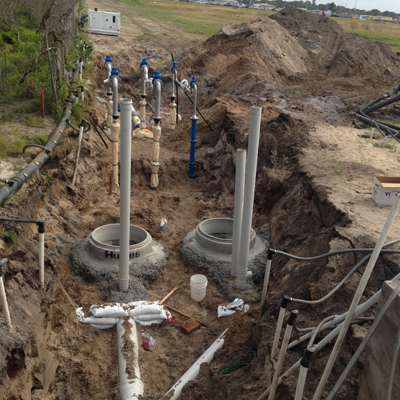 Design and Construction of the Sewer Rising Main connection between the RAAF Base’s Sewerage Treatment Plant and Hunter Water’s Williamtown 1 WWPS including submission on connection applications to HWC. 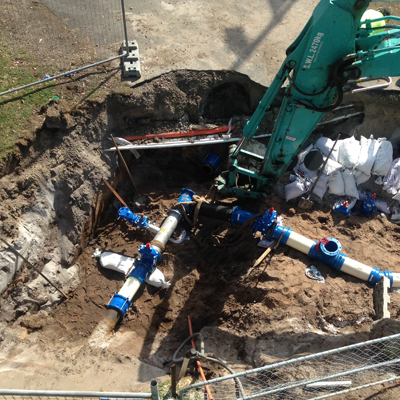 Partnered and subcontracted Design Consultancy works with Hunter Water Australia. Works involved the Excavation and Construction of twin 400m long NB200 sewer rising mains and associated fittings, construction of flow metering and sampling compound with remote monitoring capability, slab works, and connection into existing RAAF base mains with provision for future switching of flows into new works. Included extensive sump and spear point dewatering of excavations. 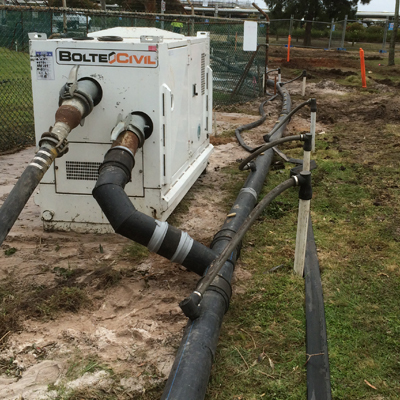 Included extensive service location and installation of sewer mains around existing services network. 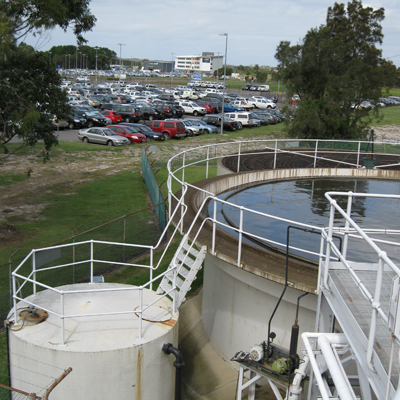 The design and installation of these connection works required extensive investigations of existing RAAF facilities and services for the formulation of a shut down /cut in procedure for the existing sewer main involving many key stakeholders on and around the RAAF Base. All works were required to be carried out in strict accordance with DoD requirements including Site Selection approval, Environmental Clearance Certificate approvals, Excavation Permits etc.